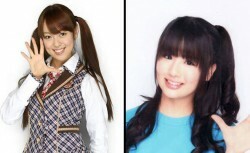 Hirajima Natsumi and Yonezawa Rumi quit AKB48 – Aitakatta! If you haven’t read yesterday’s Rec Reading post, you may want to do so, since those are the first posts about the scandal. However, there’s more reactions today and even some interesting new wrinkles. First off, it looks like Hirajima and Yonezawa will be attending an AKB48 handshake event even though they’ve already resigned. I agree with IXA Ready, that can only spell trouble – but I’m willing to be proven wrong. Also, it seems like Akimoto Yasushi has made some kind of comment that the girls’ careers don’t end with AKB48 and that they still have a future in show business they can look forward to. Quite magnanimous of him, considering he just kicked the two out of the country’s most popular idol group at the very peak of their popularity. These new wrinkles aside, what it boils down to is the same issue behind any idol scandal having to do with an outed boyfriend: the ban on dating for female idols, which is deemed necessary for the wota fanbase to remain interested. There’s a bit of kabuki every time this happens: the news is reported, some people side with the idol, some people side with the management, the unfairness of the dating ban is excoriated by some, the necessity of the ban is defended by others. On the one hand, it can grow tiresome. On the other hand, it’s good to have these discussions with each scandal because it does expose one of the important contradictions of the idol world. This time around, Cat of Aitakatta! sums up the absurdity of the situation and asks that the wota holding back the natural urges of young female idols should get a reality check. I can see the unfairness of the dating ban, but I also understand why it’s in place. The fantasy of Japanese idols is a rather specific set of expectations and if these girls weren’t putting on some kind of bizarre virginal charade, would the experience be the same? I’m thinking not – at least not for everyone, and definitely not for the wota that the idol industry caters to. Cat may tell them to grow up and face reality, but to me that’s like telling sports fans not to riot when their team wins a big championship, or fanboys not to rage over the liberties taken from comic book movie adaptations. Weird as it sounds, the irrationality and fucked-upness is a necessary part of the subculture, even if it casts that culture in an ugly light. Moreover, I also believe that the contract an idol enters is binding and must be observed, so if they do get caught breaking it, they have to pay the price. Or to quote New School Kaidan, “Every dream job has a catch.” It’s just like the so-called “slave contracts” that caused such a stir in Kpop: If you’re willing to make a deal with the devil, don’t be surprised if you suffer some hellfire. The demand on the idol may be unfair and go against human nature (a ban on dating, a protracted length of service), but the idol entered into the agreement willingly in order to reach a certain goal. Nobody twisted their arms to enter the agreement, they could have said no at the beginning and remained nobodies (or found some other avenue to success). The companies are very aware that there are dozens of other equally semi-talented wannabe’s waiting to take that idol’s place and sign their own souls over. As far as moral conundrums go, the idol dating rule is a minor one at best. And ultimately, there IS a realpolitik solution to this moral conundrum: dating in private and not letting the public find out. As Pure Idol Heart points out, members of Onyanko Club (Aki-P’s previous group), admitted to dating in secret during their time in the group. Of course, that requires the public to respect the private lives of idols and to understand that the fantasy on stage and screen is just that… But if anything, our modern age has been moving in the opposite directions: finding better and better ways to invade privacy, as well as mixing up facts from fictions. I tend to recall that weird character in the classic idol movie Morning Cop who spoke boldly on the proper balance between adoration and distance that an idol requires. But what if an idol group promotes itself on being “idols you can meet” and start to tear away at that line of privacy? So I guess we’re kinda fucked and back at square one. And once again waiting for another scandal to break so that the ritual will happen all over again. I’m Cat from Aitakatta :) Ray, I totally agree that once they are found out they should be punished accordingly. The rules are what they are, and even if I disagree with them on a personal level I can understand the reason why they exist and in any case, if you sign a contract you should abide by the rules and if you are brave enough to break them then own it, you made your bed, now sleep on it. I can’t believe in my huge rant-y wall of text I left that bit out lol but I wrote that in ragemode so that must be why I left it out. I don’t know, I usually don’t mind the wotas and their weird fetish with virginity and think “Oh, how queer” but it’s frustrating some times. I mean, what bothers me the most is that they go digging for stuff about the girl’s personal lives themselves, wtf. They should know better than that, even Togasaki has told them before that they should stop it because they would find things if they kept looking. If the idol plays her part in being charming, cute and defenseless or all those things that wotas love, they should play their part as well and adore them from afar without meddling in their private lives IMO. Well they’re different types of groups, of course, but somewhat similar still, and there was no backlash or damage to sales, in korea or japan, when Kara’s Hara came out as dating a boy band member. Why not let it slide and see how it affects business? I agree with you! awesome blog post! you rock!